After building my first RC car, the rere Hotshot and doing all kinds of stupid mistakes during the build, it was finally ready for some outdoor driving. I've read a lot of complaints about this particular suspension setup and the plastic parts seemed a bit flimsy during build. I even ordered a rebuild kit for dual front dampers for later. On my third battery, the front shock came apart. I have not tried to put it back together yet (its drying on the bathroom floor right now) But I'm thinking I should at least replace the front shock to something more durable. After searching a bit here, the consensus seems to be that the front shock is 78mm. However when I measure center hole to center hole on the plastic parts I get 65mm. Hence it seems I need something like the last picture. Is this correct? The Hot Shot uses a somewhat unique (and less than effective) mounting system for its front monoshock. The mount points are below and inboard of the outer ends of the shock. As such, the shock is compressed from below rather than the more optimal, outer ends. This results in several issues. The shock is side-loaded as well as compressed (literally trying to bend the shock in half as well as compressing it). It also causes shock/spring action to dramatically fall away after it reaches its over-center point in the stroke. Tamiya fixed this issue themselves in the next monoshock version of the buggy, the Boomerang. If you wish to keep the monoshock (as well as be able to use normal, readily available shock lengths), add the B10 and B11 parts from the B parts sprue from the Boomerang kit. These two parts go over top the stock Hot Shot mounts and provide new, correct shock mounting locations. The Hot Shot uses a somewhat unique (and less than effective) mounting system for its front monoshock. The mount points are below and inboard of the outer ends of the shock. As such, the shock is compressed from below rather than the more optimal, outer ends. This results in several issues. The shock is side-loaded as well as compressed (literally trying to bend the shock in half as well as compressing it). It also causes shock/spring action to dramatically fall away after it reaches its over-center ﻿point in the stroke. 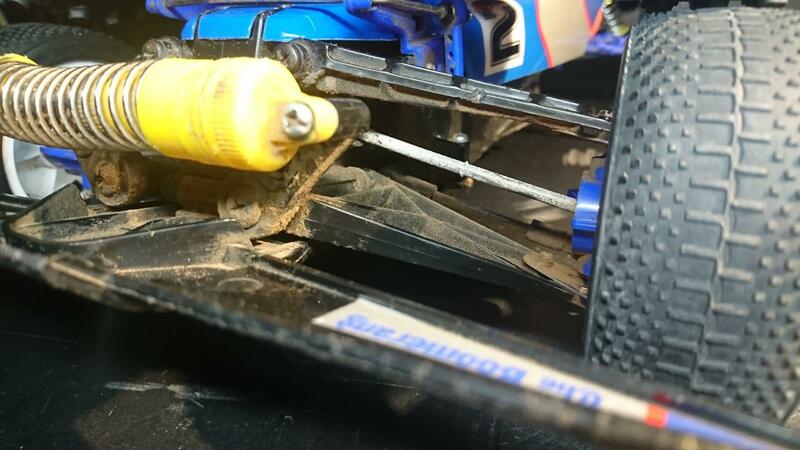 Tamiya fixed this issue themselves in the next monoshock version of the buggy, the Boomerang. If you wish to keep the monoshock (as well as be able to use normal, readily available shock lengths), add the B10 and B11 parts from the B﻿ parts sprue from the Boomerang kit. These two parts go over top the stock Hot Shot mounts and provide new, correct shock mounting locations. Thank you for your reply. 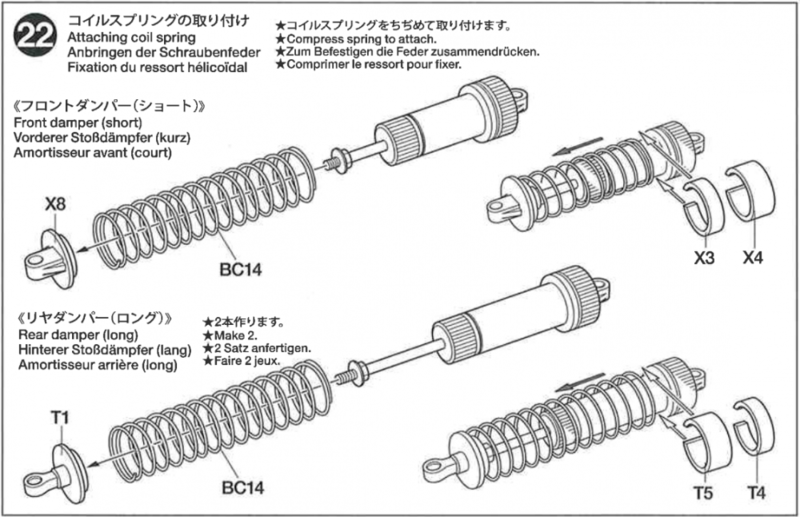 I had a peek at the Boomerang manual (pictured) and found that they use a part called X8 on the front damper. 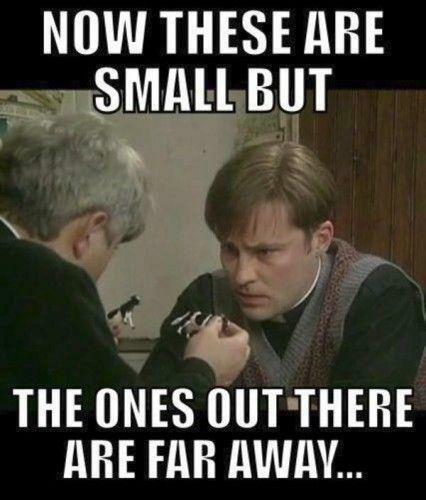 Is that the one? It still looks like the flimsy plastic screw-on system, though the side load would disappear. 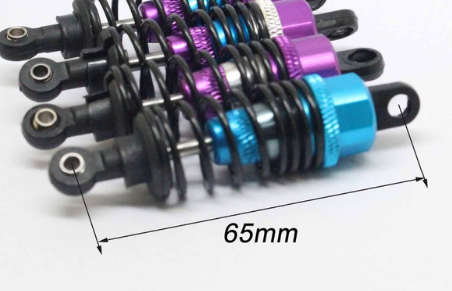 However I suspect its cheaper and simpler if I am able to just put the pictured blue/purple damper on the Hotshot pins. Would that not work? No, The hotshot uses a very strong spring on it's mono shock system, and the springs on the dampers pictured will be way too soft as they are for 1/10 on road cars. Also the amount of stroke on the shock piston is reduced, as the shock is physically shorter. I ended up making aluminium ones for one of my models as even the X8 let go. 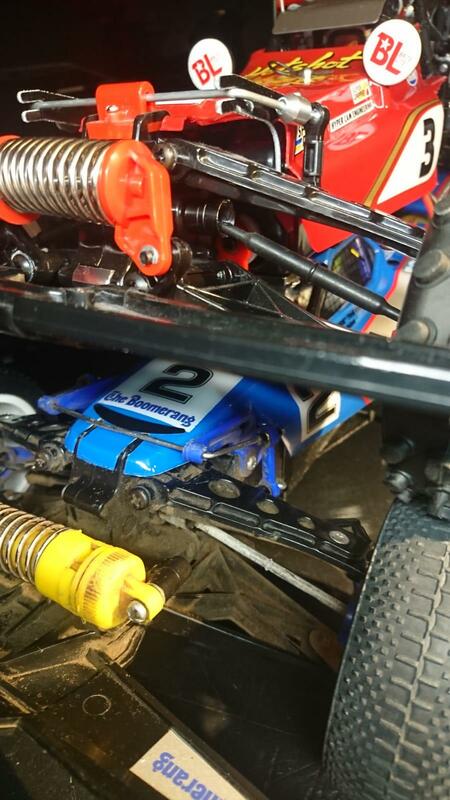 Your best bet is to fi the dual front shock upgrade, or look for a vintage Tamiya Hotshot HP suspension kit, which converts the suspension to supershot spec. to remedy that i superglued the **** out of it when building newer ones. My buggies are abused and all is well so far. 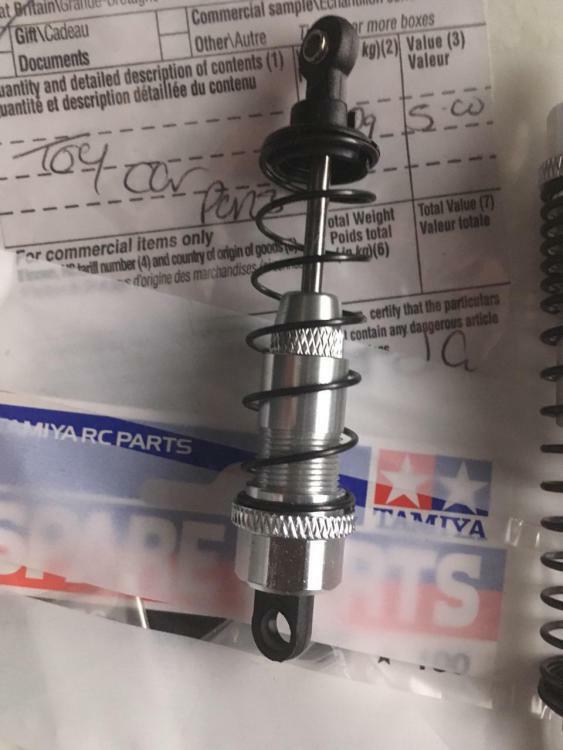 How about using the original Hotshot front spring on a shock like I pictured above? Also, I already have the upgrade set for dual front shocks, but I have no Idea what shocks (type/lenght) to use for that either. If you already have the Super hotshot parts then get some 50520 modern black cva dampers and build them to the shortest 80mm length. Instructions are in the box. I'll throw in that the easiest and most effective front suspension option is the Big Wig setup. Yo﻿u﻿ need the big wig C parts and F parts sprues for the front arms and shock towers. The 80mm cva shocks will work on this too but with better geometry. I've always wanted to see a monoshock with a modern TRF style threaded shock. Pics anyone? Google is suprisingly empty. These are 80mm. Will they work for a dual shock front setup? Or is there an advantage with the plastic Tamiya ones? 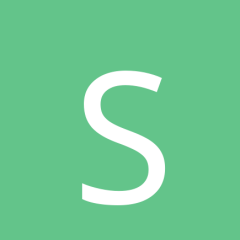 I've done several iterations of my Hotshot front end and concluded with this. By far the most effective monoshock set up I have used. I'm using a threaded Team Durango rear shock, the thing here is that the mounts are drastically extended so you don't need such a high rate spring but instead substitute it for more shock travel. This allows a 'normal' shock to be used. The shock isn't bent under compression either which not only improves the action, but reduces wear (a lot). That looks fantastic and well executed! 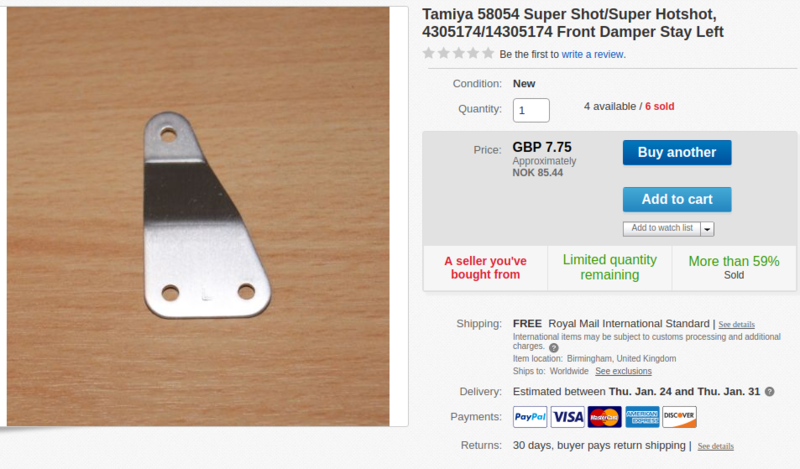 Great, off to ebay, though I want a Boomerang version. Did you make the extended mounts? The suspension arms and mounts I made. I would add that the hinge pin brace is also a big contributor to the improved performance, even with nothing else. I was amazed how much of the 'suspension' of the standard set up is actually flex in the plastic gearboxes. 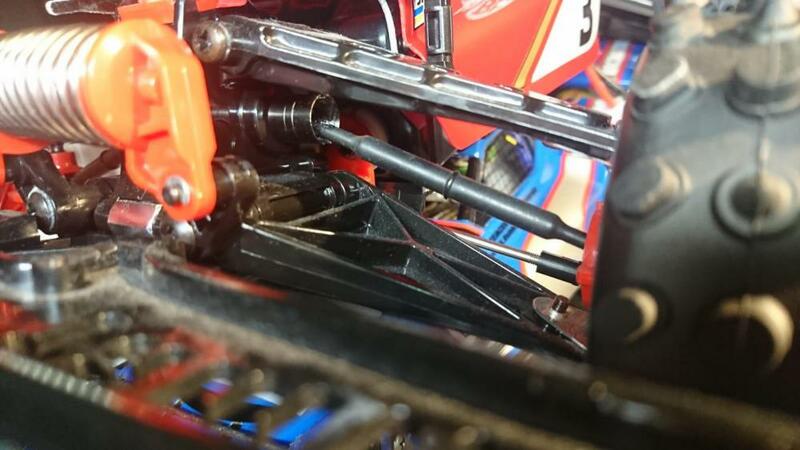 The shock mounts are carbon which is important to maintain the stiffness needed. Let me try to illustrate this particular point. Hotshot Lower Control Arms have SHORT shock mounts. Boomerang Lower Control Arms fit Hotshot, have LONG shock mounts, and will let you use normal shock lengths. Simple bolt-in mod to keep the monoshock setup. The boomerang mod looks like a good fit but seem to require Boomerang F-parts 9005867, BC/BA bags, X-parts 0225034 and Y-parts 0225035 as a minimum. I'm thinking the dual SuperHotshot mod is probably cheaper and easier to get if monoshock is not a must. At least when I search for all the individual parts. Could someone enlighten me what the purpose of the Stabilizer rods that comes with the monoshock cars? 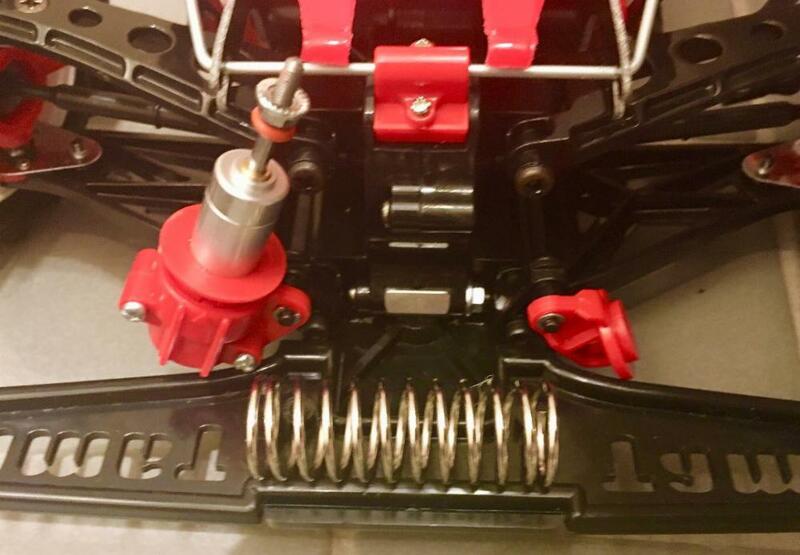 The springs on a "normal" suspension arrangement (i.e. one spring per wheel) resist the car's weight and also resist it trying to lean over in corners. If you push down the front of the car, both springs compress and it tries to push back up again. If you lean the car to one side, one spring compresses and the other gets longer, so they push back to try to make it level again. Some cars (and most real road cars) add a stabilizer (or anti roll bar) to this. 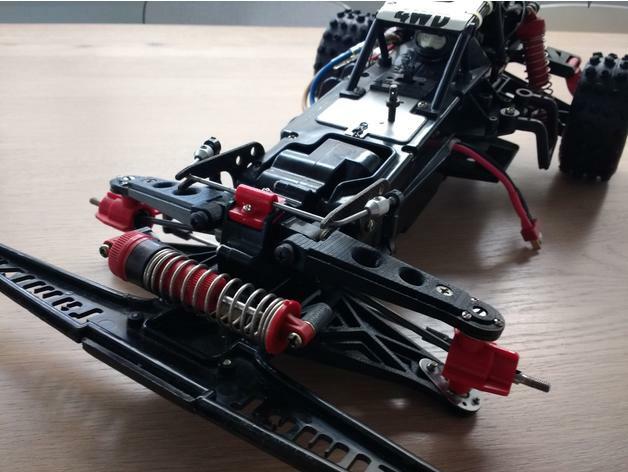 It does nothing when you push the front of the car down (it can just rotate freely), but if you lean it to one side then the bar has to twist for one wheel to go up whilst the other goes down, so it gives extra resistance to roll in corners without making the car's springs/shocks stiffer over bumps, crests, jumps etc. With a monoshock, there is literally zero resistance to roll. If you push the car down then the springs compress, resist and push it back up again. But if you lean the car from side to side then the spring can just move from side to side without compressing. In the case of the Hotshot rear, if you lean from side to side, then the little aluminium links move in an opposite motion, the drop link can move from side to side a bit, and again the spring doesn't compress and nothing pushes back. So, with no anti roll bar, on a Hotshot the car would just lean over to the end stops on every corner. The anti roll bars stop it from doing that. On a car with 2 rear shocks but a single front monoshock, the rears will resist the roll. But, without a front anti roll bar, you're making the rear do all of the work of resisting roll with the front contributing nothing. This will tend to make the car lean over more in corners, and also oversteer more as the rear is doing more work during cornering. Some cars (and most real road cars) add a stabilizer (or anti roll bar) to this. It does nothing when you push the front of the car down (it can just rotate freely), but if you lean it to one side then the bar has to twist for one wheel to go up whilst the other goes down, so it gives extra resistance to roll in corners without making the car's springs/shocks stiffer over bumps, crests, jumps et﻿c. Thank you for the excellent explanation. I was not able to find the answer to my noob question on search. Does that mean a rebuilt Hotshot with monoshock front and dual shock front can skip the front stabilizer? Certainly it's worth trying the car out with no front stabilizer bar once you have done the dual shock upgrade. Those old stabilizer bars were very stiff because all the roll stiffness came from them, so you may well find that leaving it on with dual shocks makes the car understeer a lot. I took the front bar off my Thunder Dragon now it has twin from shocks and it works great. On the re-re Hotshot my experience was that the anti roll bar does nothing at all. Although the theory is exactly as AJB123 says, in practice there is so much play in the bar mounting for it to avoid the necessary twisting completely. I switched mine out for individual torsion bars that complement the upgrade monoshock. Pics of torsion bars please? The LONG/SHORT/NORMAL shock size seems to be a Tamiya thing. I have to choose between 65, 70, 75, 80, 85, 90, 95, 100, 105, 110mm and a dozen inbetween sizes. IIRC, Tamiya CVAs started with one length on the Fox. They then added a longer length, thus by default, one was long and the other short. Next they added an even shorter shock, so they labeled that "mini". Then shorter still, "super mini".